School is back in session for just about everyone's children. They're eating well at school because you're packing their lunch with nutritious foods but yet at the end of their day - they're so hungry! You think of offering them a treat to tie them over until their next meal. Enjoy chocolate and coconut covered banana bites!! 1. Place bananas in the freezer with peel on while preparing the rest of the ingredients (or for at least 10 minutes). You can always peel them and cut them into 1 inch chunks first. I don't like the banana to be completely frozen when I'm ready to eat them so that's why I suggest just a quick freeze. 2. Melt chocolate in a microwave safe bowl with 1/2 tablespoon of coconut oil. Heat starting at 20 seconds. Mix. The texture should be loose. Add more coconut oil as necessary and heat again adding 10 seconds at a time. The addition of the coconut oil helps the chocolate adhere to the bananas. 3. Add the tablespoon of peanut butter to the melted chocolate and mix. 4. Take the bananas out of the freezer, peel and slice them into 1 inch chunks (if you haven't done so already). Drop the bananas into the peanut butter-chocolate and coat all the sides as evenly as possible. 5. Line a pan with parchment paper and place the coated bananas on there. 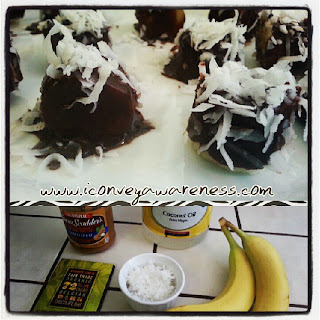 Sprinkle the bananas with shredded coconut. Place and store in the refrigerator until ready to eat. You also have the option of freezing them. If you live in a cooler climate (or it's winter) you may leave them out in an airtight container until ready to eat. You can modify the ingredients to your liking. Perhaps substitute the peanut butter for almond butter or use unsweetened coconut. Use your imagination! This is just a baseline to work from. 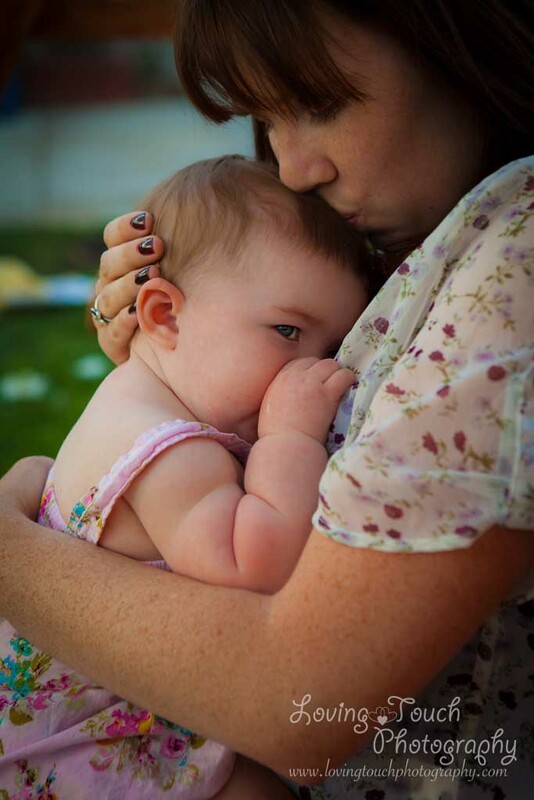 Something to inspire you. 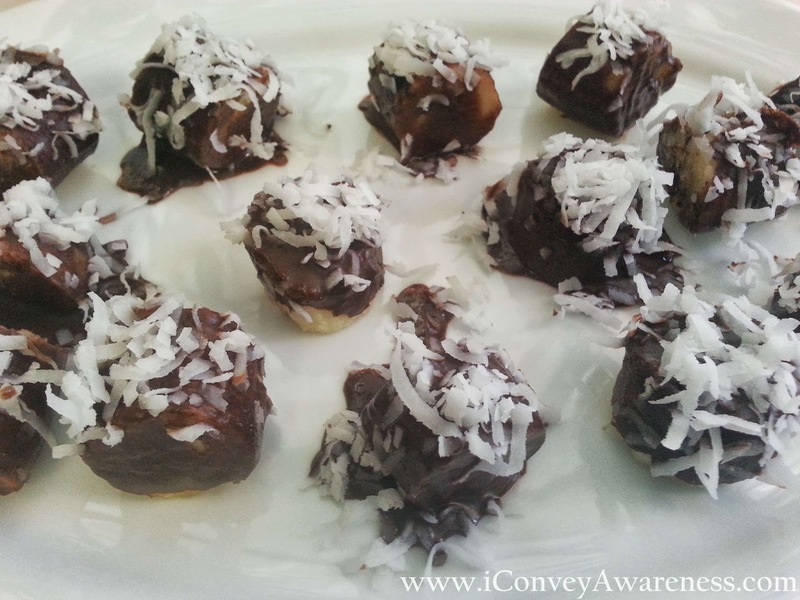 You can make this treat ahead of time so that they'll be ready when the children arrive home from school or you can make the chocolate coconut banana bites together with your children as young as 3. Use your discretion. The children can cut the bananas safely with a butter knife and coat the bananas in chocolate as well as sprinkling the coconut over the bites. If you make some, please leave a comment on how you liked them. Were they easy to make? Did you change the ingredients to suit your family? 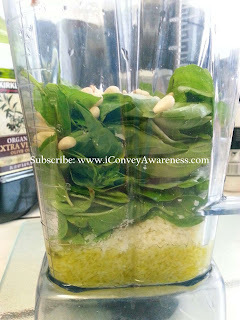 One of the best ways to make pesto is in a Vitamix. It only takes a few minutes from start to finish. Let's quickly review the benefits and storage first then the recipe and some dish options will follow. 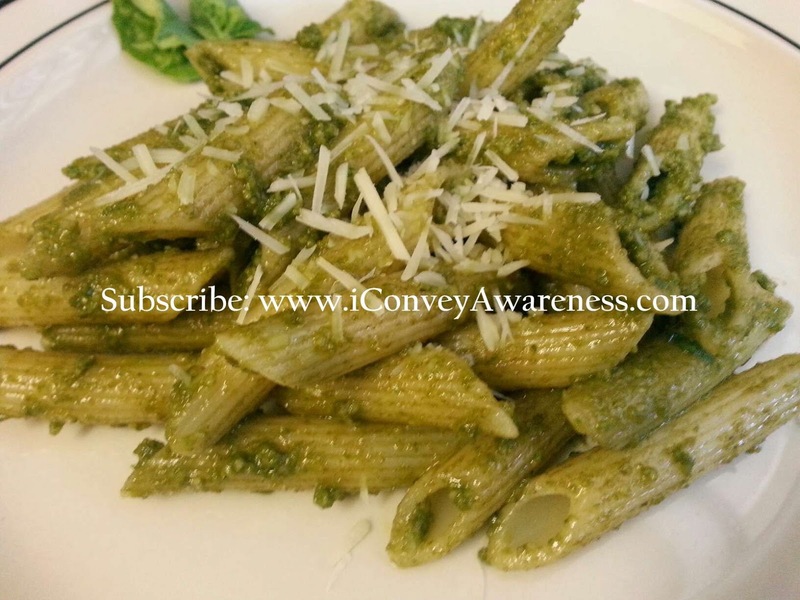 At the end, I'll ask you to leave a comment with your favorite pesto dish. Benefits: Basil is anti-inflammatory, rich in antioxidants, detoxes the liver and is an excellent source of vitamin K and a very good source of iron, calcium and vitamin A. 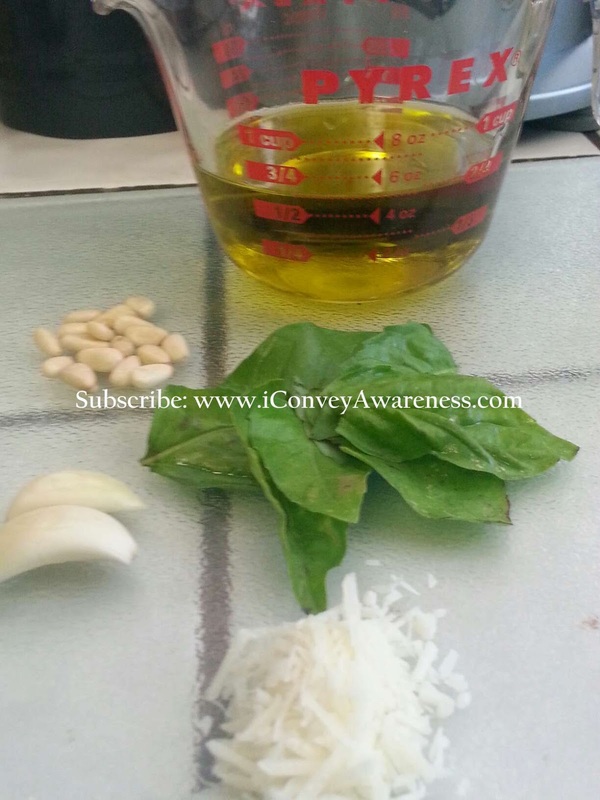 In addition, basil is a good source of dietary fiber, manganese, magnesium, vitamin C and potassium (WHFoods). Storage: The leaves of fresh basil should look vibrant and be deep green in color. They should be free from dark spots or yellowing. Fresh basil should be stored in the refrigerator wrapped in a slightly damp paper towel. Place ingredients in the order above, set to variable low and quickly to 7. 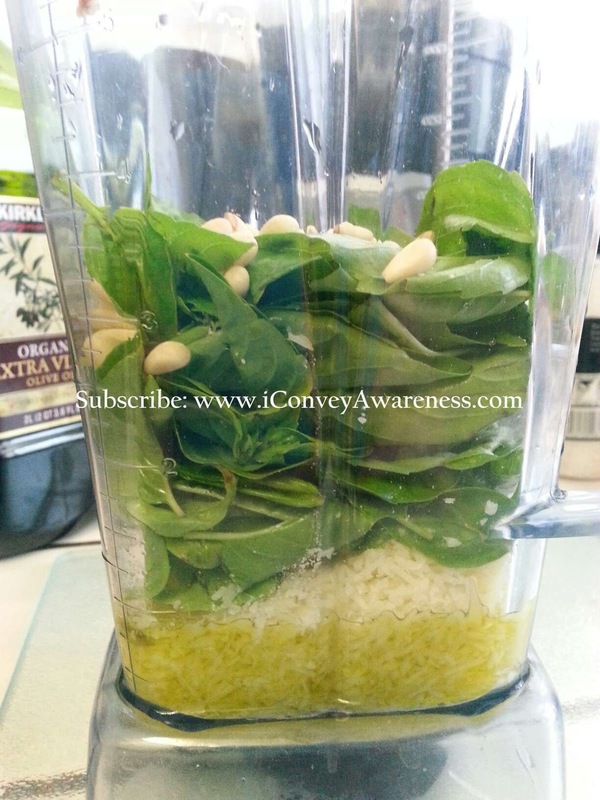 Use the tamper to push food into the blades and blend for one minute. Season with salt & pepper to your taste. Pour over pasta of your choice. 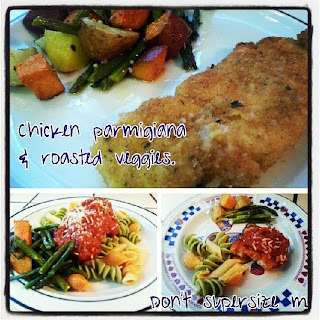 - Add it to grilled chicken or roasted salmon and top with sundried tomatoes. - Pesto and veggie stuffed pitas or pizza. Use in place of or in addition to hummus instead of mayo or tomato sauce. - Toss pesto with steamed green beans or asparagus with the juice of 1/2 lemon. Leave a comment: What dish would you add this basil pesto to? P.S. Don't forget to order the best blender on the market! Use code: 06-008064 for free shipping here.